Being a sewer and finding a good sewing machine is a challenge on its own, isn’t it? 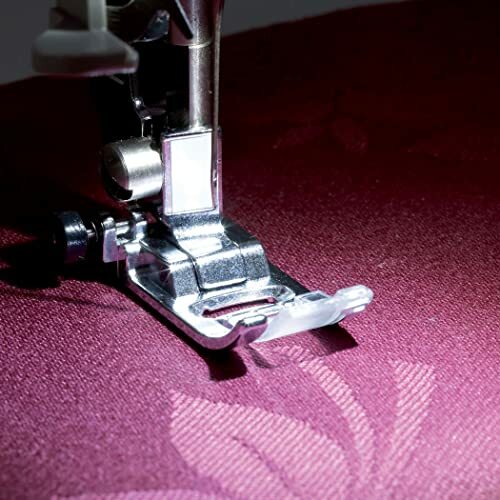 With such a large variety of sewing machines available today in the market, finding one that works best for you is possibly one of the hardest decisions. Brother is a popular company that is known to carry a wide array of computerized sewing machine models that fit different needs. One of these models is the Brother CE7070PRW Project Runway Sewing Machine. The question is, does the Brother CE7070PRW live up to the expectations? Is it even any good? 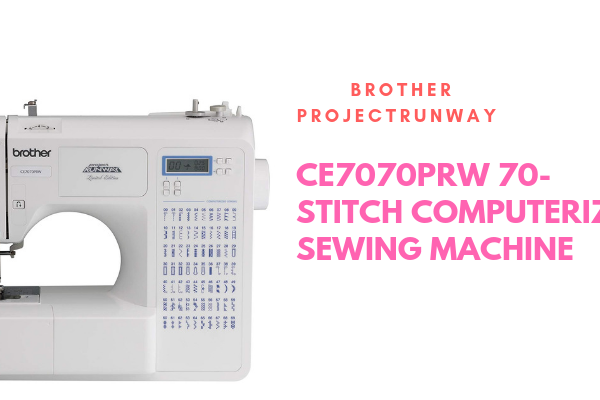 Go on reading this detailed Brother Project Runway CE7070PRW Sewing Machine Review to find out the answers to all your questions. 1.4 What Makes The Brother CE7070PRW Different? 1.10 Where To Buy This Product? The Brother CE7070PRW can easily qualify as the cheaper alternative to those expensive sewing machines. In addition, this machine belongs to the much known Project Runway lineup. Are you worried that this is a machine not suitable for beginners? Don’t worry, not only is the Brother CE7070PRW cheap, but it is also user-friendly. It is also easy to use which means that everyone can use it without facing any difficulties. Now, what does the Brother CE7070PRW look like? Is it compatible or is it too complex to use? Continue on reading below to find out. The product consists of a classic white sewing machine body with all its numerous computerized functions. For instance, the stitch chart is listed down on the front for ease of use. Meanwhile, the brand name along with the model is written right along the arm of the machine. The machine is about 11.6” x 16.26” x 7.01” in dimensions. It weighs about 13.7 lbs., making it light and easy to carry around. The Brother CE7070PRW is also equipped with an LCD screen display that has an easy stitch selector. This enables choosing stitches and settings at a push of a button. Meanwhile, the LCD screen ensures a clear display that is easy on the eyes. Moreover, the LED lights make for a brighter working area. So, users can see the details of their work. He or she can also work easily on darker fabrics or in darker rooms. Not only this, the wide tables provide a larger working space for the user. As a result, users can easily work on larger projects such as quilts, formal wear, etc. This feature also allows easy maneuvering of the fabric on the sewing machine. The imprinted markings on the needle plate ensure straight sewing lines. The markings also allow the user to hold the fabric at the appropriate distance from the needle. Thus, the entire process is made convenient. In the package, not only are you getting the Brother CE7070PRW sewing machine but also several additional items. All these items only add up to make the machine versatile and easy to use. Brother International Cooperation is one of the most popular companies for home sewing products and embroidery lovers. Originating back to 1908, Brother has only grown to steady success over time to dominate all competition companies. The company is known for its technology, high-quality products, state-of-art machines, and other similar products. Thus, Brother is considered to be one of the best brands in the sewing industry today. What Makes The Brother CE7070PRW Different? 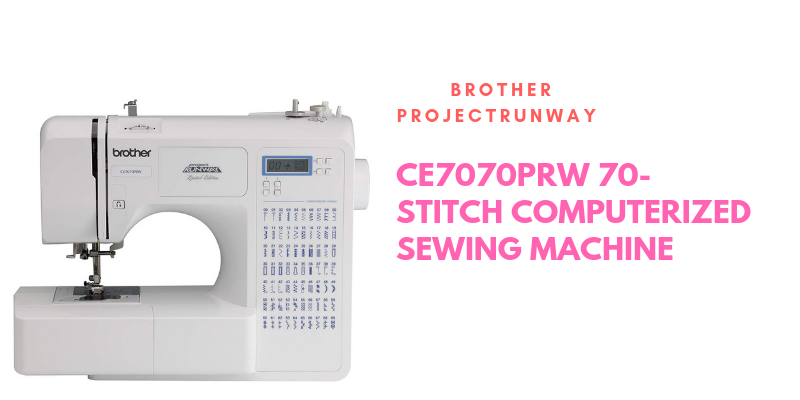 The Brother CE7070PRW is a machine that carries functions of that of an expensive, professional sewing machine. At the same time, it retails at an extremely reasonable rate. It is an extremely easy-to-use machine that is perfect for beginners. It also meets the needs of advanced users as well. 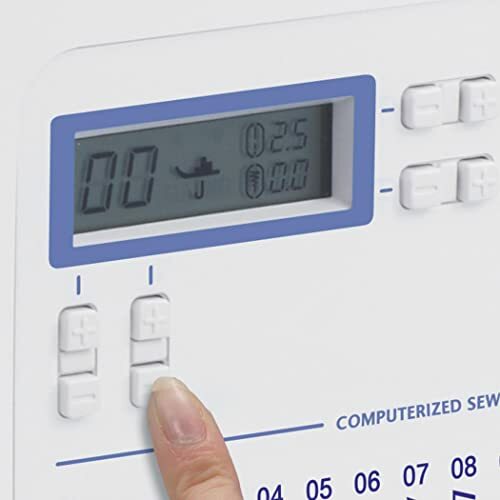 Moreover, it is user-friendly and carries many automatic functions that make the entire sewing and stitching process easier. The machine also delivers couture level and consistent stitch quality. So, it can be used for small projects such as dresses to larger ones such as quilts and costumes. 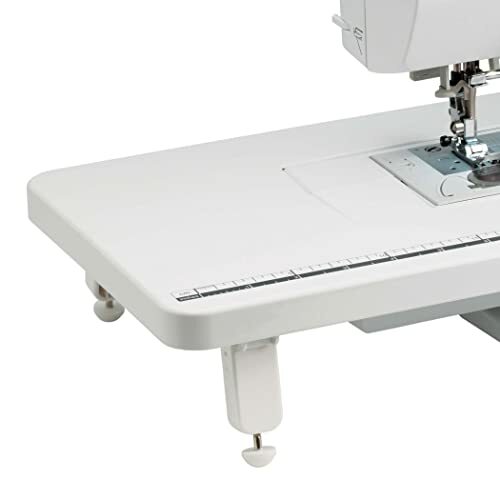 The Brother CE7070PRW, with all its modern features and functions, is said to enhance the sewing experience for the user. In fact, the features make the user fall in love with their machine. 110 stitch functions for garment construction, quilting, heirloom and decorating sewing. The Brother CE7070PRW has a 25-year limited warranty. So, you are given ample time for a repair or replacement for any defective parts through this time. 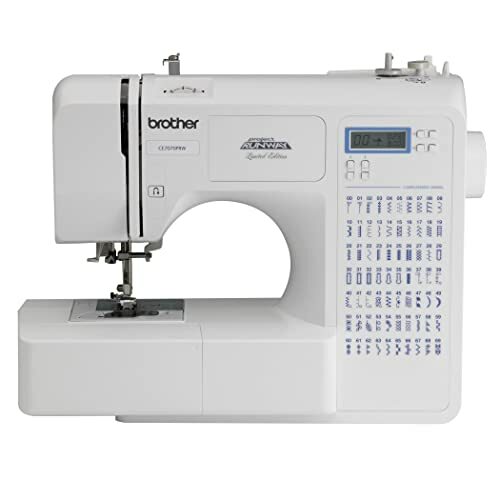 The Brother Project Runway CE7070PRW 70-Stitch Computerized Sewing Machine is available at a low rate of $152. This makes the machine extremely affordable an within the budget of people who are unable to purchase similar sewing machines because of their high price. After reading all the functions of the Brother CE7070PRW, it can be said that this is a fairly good machine. How about all of its positive in a short, concise form? Carry on reading all the pros of this machine below. It is within the budget of many people, and many people can afford it. It is a light machine that makes it easy to carry and move around. The Brother CE7070PRW is a fairly quiet machine so that you can use it without causing much disturbance. The Brother CE7070PRW sewing machine is equipped with many features. These do not require manual effort, making it a good machine for newbies in the world of sewing. Not only is it good for beginners, but its multipurpose functions makes it ideal for advanced users as well. Despite the many advantages of this product, there are a few drawbacks of the machine such as the ones mentioned below. It lacks the feature of speed control, making it slightly difficult for the user to get a hold of it. The sewer must manually position the needle which is another con of this machine. The sewing machine does not come with a carrying case or cover. The case would have helped protect the machine from dust or damage and also make carrying around easier. Although the machine is feature-rich, it, unfortunately, lacks the option to allow embroidery. Many users often require this feature. 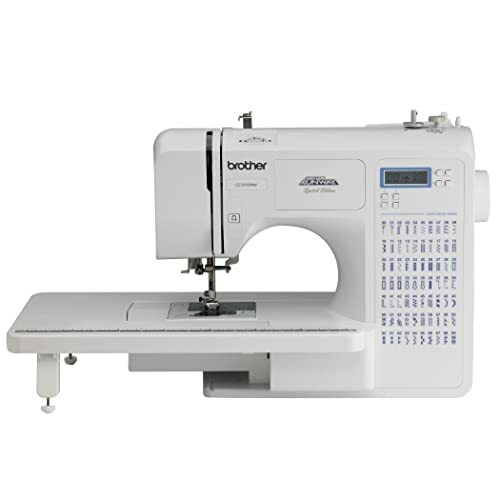 Brother Project Runway CE7070PRW sewing machine is a much-loved and popular machine. Thus, it is available widely in the market and you can easily find it in retails in homeware and craft stores. The sewing machine is also available online so that you can get them delivered easily right to your doorsteps. You can find new machines as well as used machines from these online stores and save yourself a few bucks! The Brother CE7070PRW Sewing Machine is a great machine that carries a lot of features for its price. It is an easy-to-use machine that makes sewing fun and convenient. With its multiple automatic functions, not only does it save time but also saves much energy. Although there are some drawbacks to this machine, the positives outweigh the negatives. Thus, the Brother CE7070PRW is a perfect fit for beginners as well as professionals. If you still wonder, is the Brother CE7070PRW worth investing in? Yes, it is! It is, in fact, a complete sewing machine that comes with many different functions and accessories. In addition, its high-quality manufacturing is bound to last you for a long time.